A highly recommended activity during a gorgeous time of day. 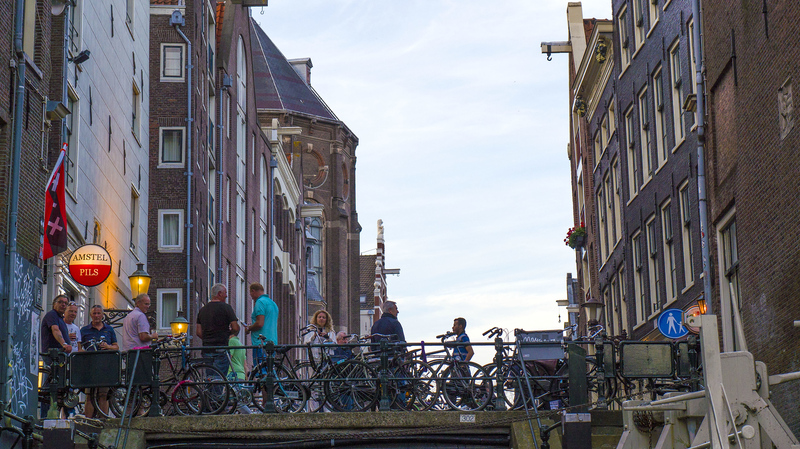 In planning our whirlwind day in Amsterdam, I heard one recurring piece of advice. 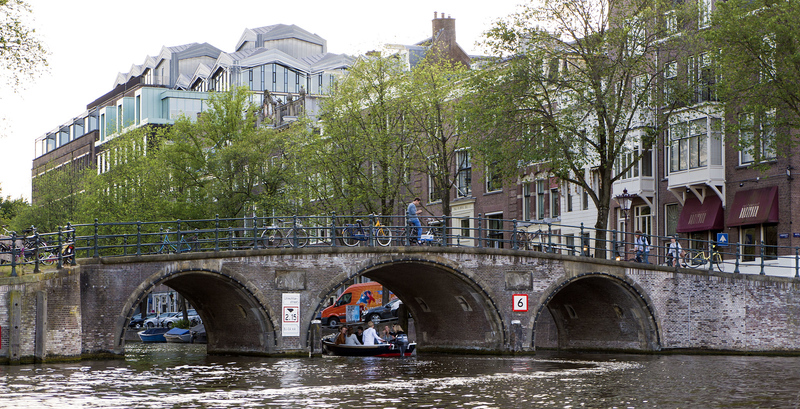 “Take a canal cruise.” Pretty much everyone who has travelled to Amsterdam recommended this activity. 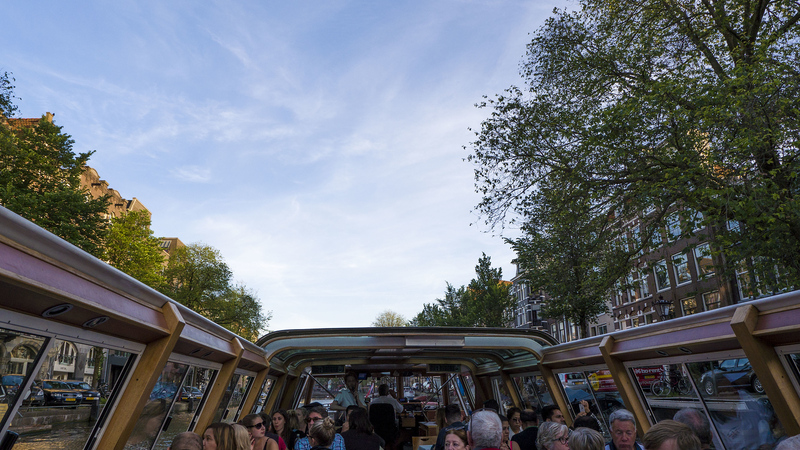 It might seem like a touristy thing to do, but it’s a great way to familiarize yourself with Amsterdam. It seems as though there are just as many waterways as roadways, so why not travel around by boat? 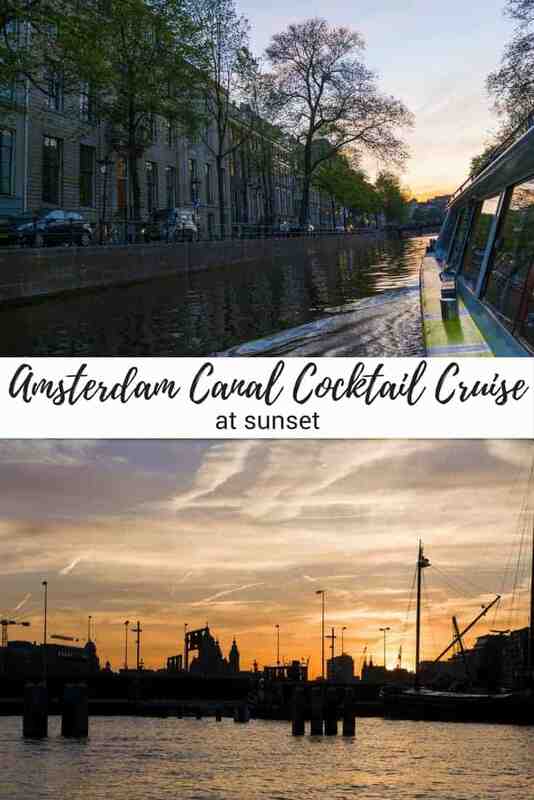 We noticed that Tinggly offered an Amsterdam canal cocktail cruise at sunset. 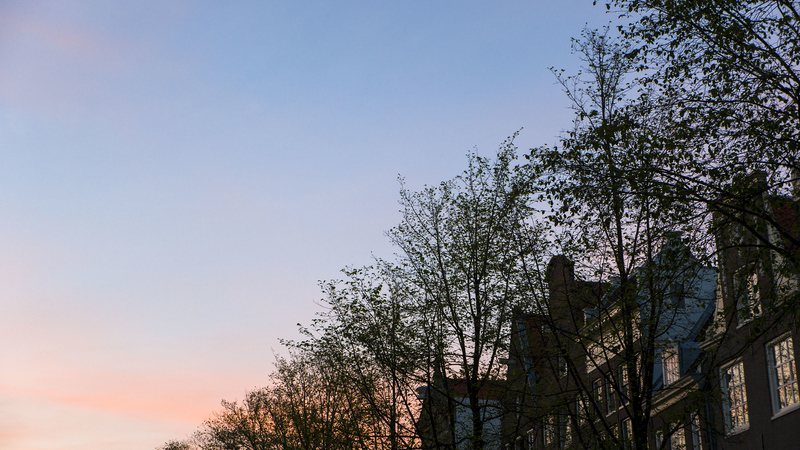 It’s the prettiest time of day to explore the city, with the sun and sky reflecting off the water. 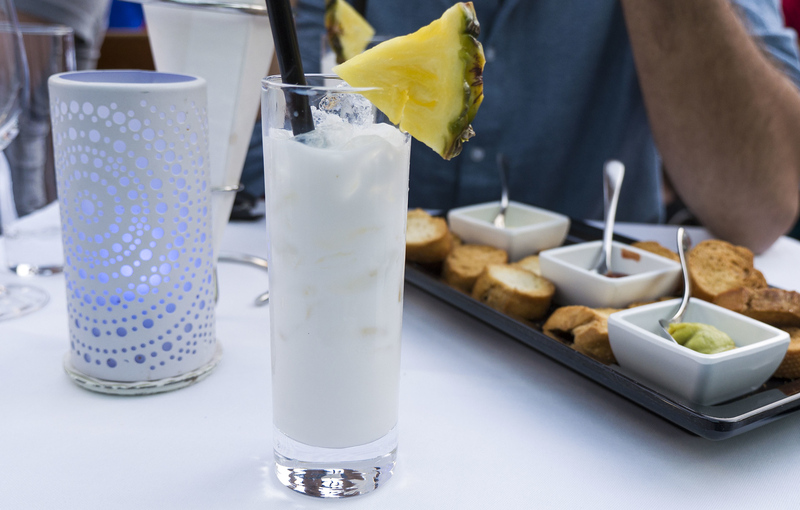 And why not sail around town with a cocktail in my hand? 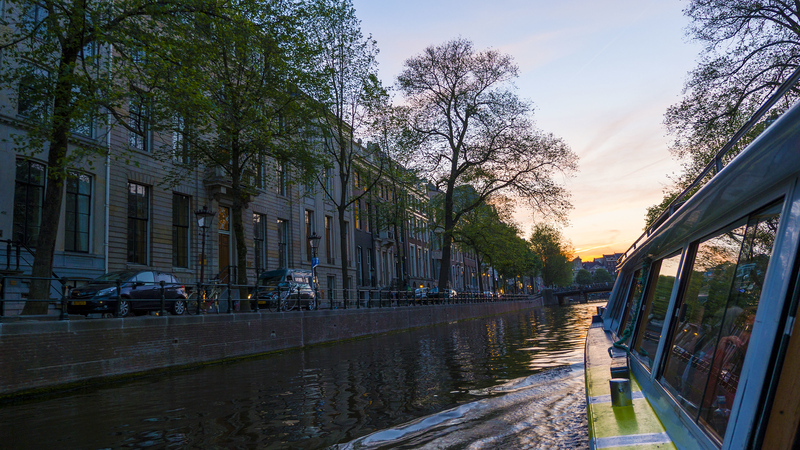 Have you ever taken a canal cruise in Amsterdam? What’s your most memorable boat cruise? You might recall that we booked a romantic gondola ride in Venice with Tinggly. 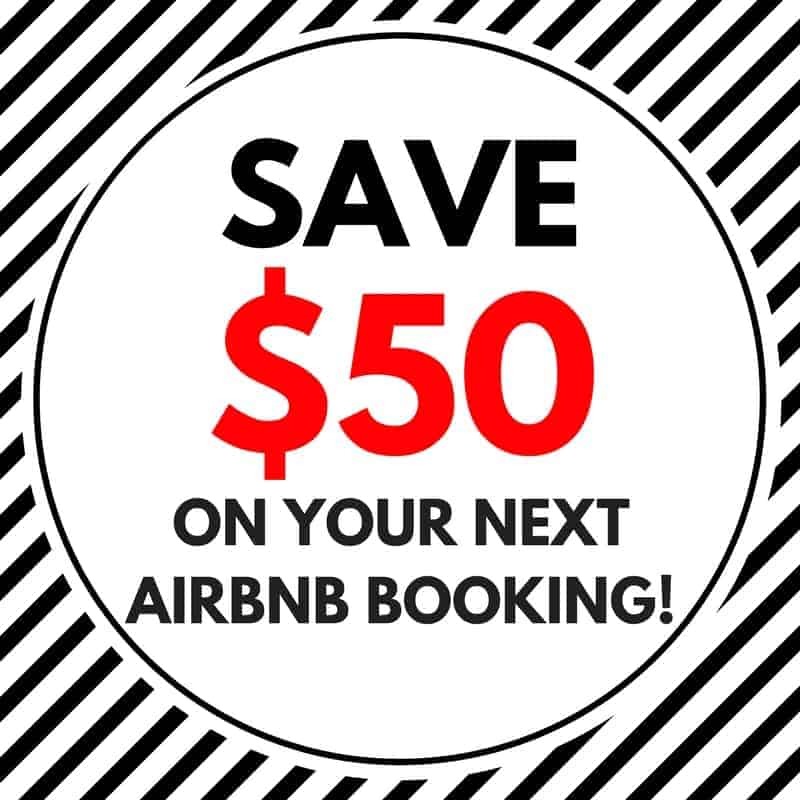 It’s a travel company with hundreds of different travel experiences. They make fantastic gifts and can be redeemed for adventures all over the world. You can learn more about Tinggly in this blog post. We boarded an open air vessel with numerous dining tables. Half of our boat signed up for a dinner cruise, and the other half signed up for a cocktail cruise. For our cocktail cruise, we were allowed to choose two drinks from the menu, as well as glass of wine. However, they were quite liberal with the wine. A pair sitting next to us kept getting their wine glasses refilled, so I’m pretty sure they kept serving it up until they ran out. 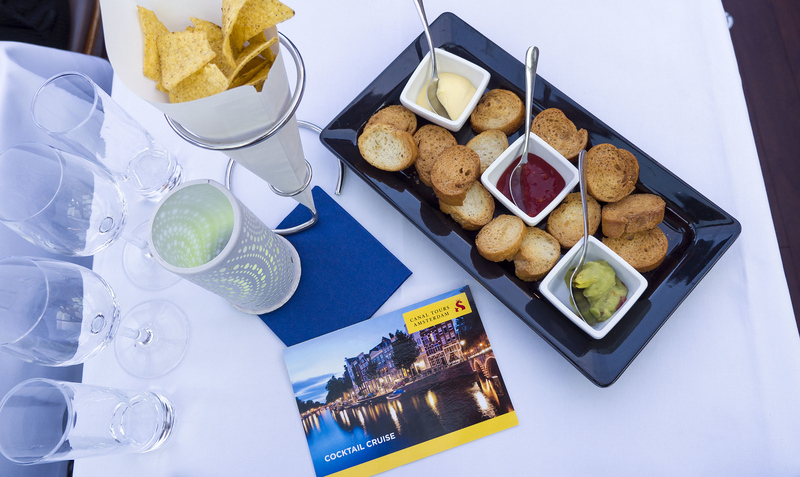 Even though we weren’t eating a full meal on board, the tour came with a platter of snacks to munch on as we savoured our drinks. Our cruise lasted two hours, starting at 8:30pm. In June, the sun sets quite late in the evening compared to back home in Canada. While we enjoyed a glorious sunset, it wasn’t even completely dark outside when we returned back to the harbour at 10:30pm. Travel Tip: We recommend arriving early for the best seats. Justin and I got a little bit lost trying to find the dock and arrived only ten minutes early. Even still, all the seats beside the windows were taken. 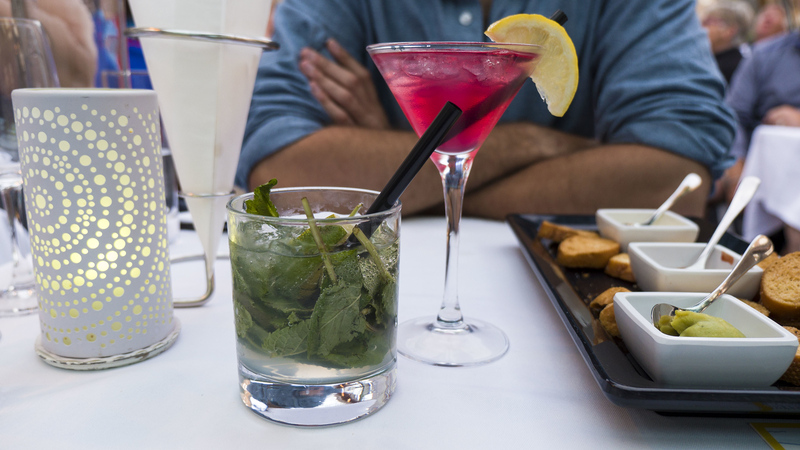 Between the two of us, we ordered the pina colada, cosmopolitan, and mojito (neither of us are big fans of gin). 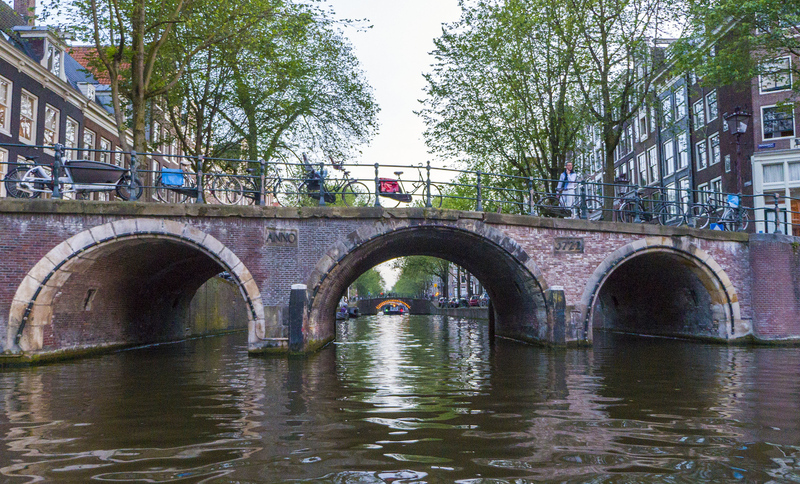 Although we walked along the canals all day, we enjoyed entirely new views of the city from the canals themselves. We marveled up at the rows of houses, all neatly groomed with greenery and flowers. 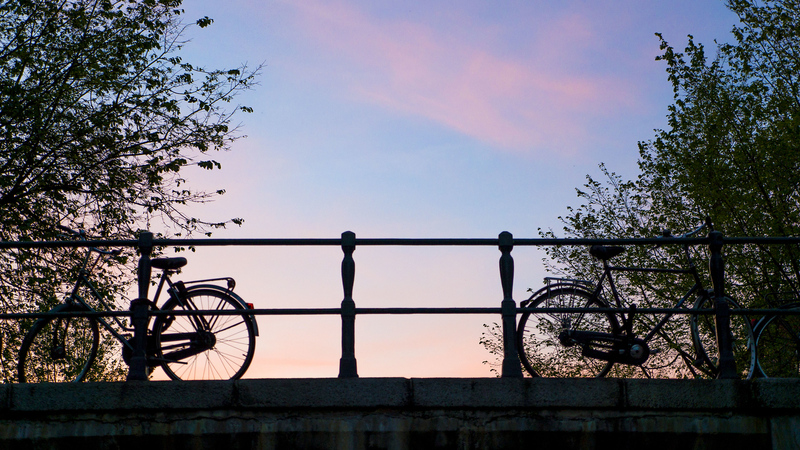 Bicycles dominated the scenery, attached to every railing and bridge. Our boat gracefully dipped under bridges and winded through narrow passageways. At one point in time, we even did our version of a three-point turn on the water. It was also important to be mindful of other boats drifting by, as we had to wait our turn at times to sail through the corridors. 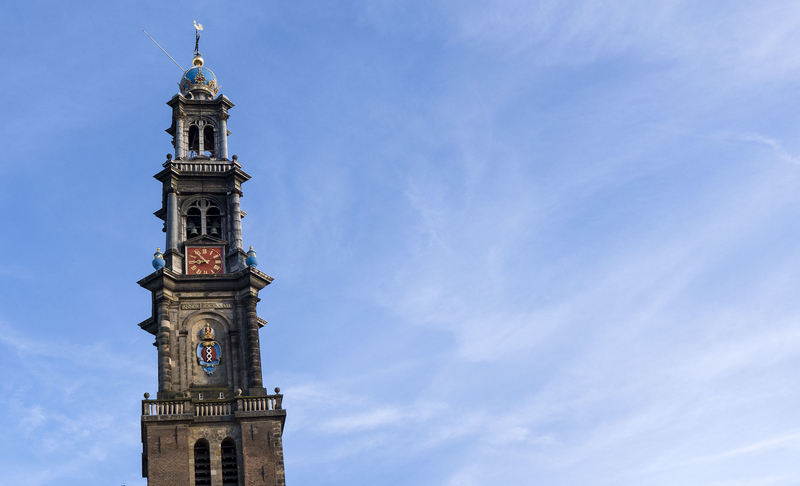 Cruising past historic churches and monumental clock towers, we discovered more places that we didn’t even notice on foot. 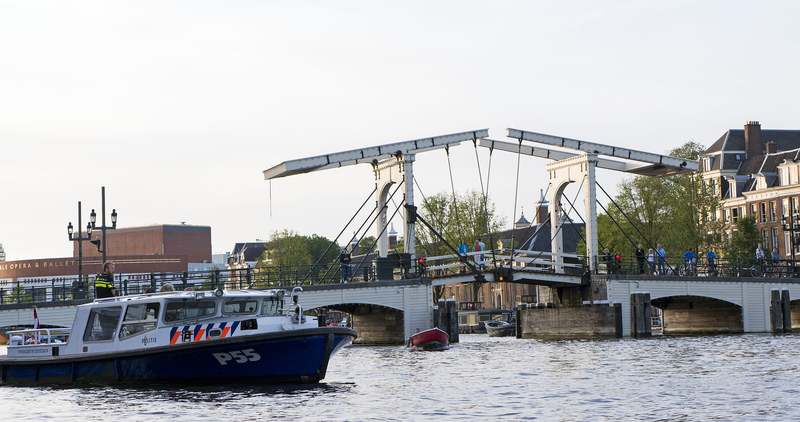 While I highly recommend that you do wander around Amsterdam, taking this Amsterdam canal cocktail cruise allowed us to notice previously undetectable landmarks. Of course, as we sailed around, a staff member on board explained facts and history about Amsterdam, describing exactly what we were looking at. The sky slowly grew more vibrant as the sun dropped beneath the horizon. Pastel streaks of orange, red, and yellow blazed across the atmosphere. Amsterdam, you were really putting on quite the show for us. It was our last night in Europe after a two week jaunt across Czech Republic, Austria, Germany, and the Netherlands. 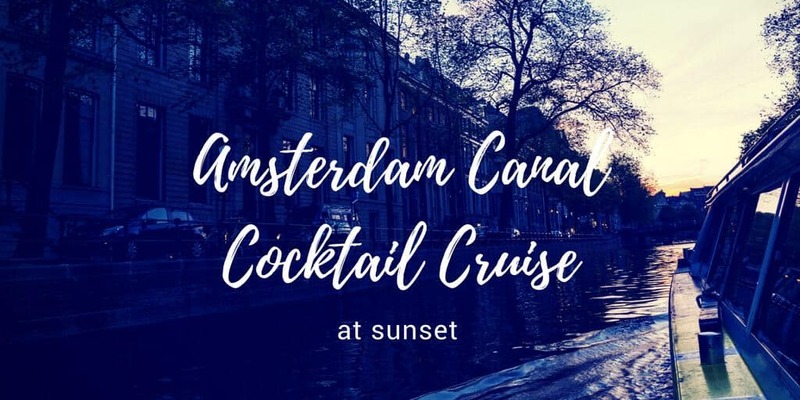 I couldn’t think of a dreamier way to end our vacation than with this Amsterdam canal cocktail cruise. 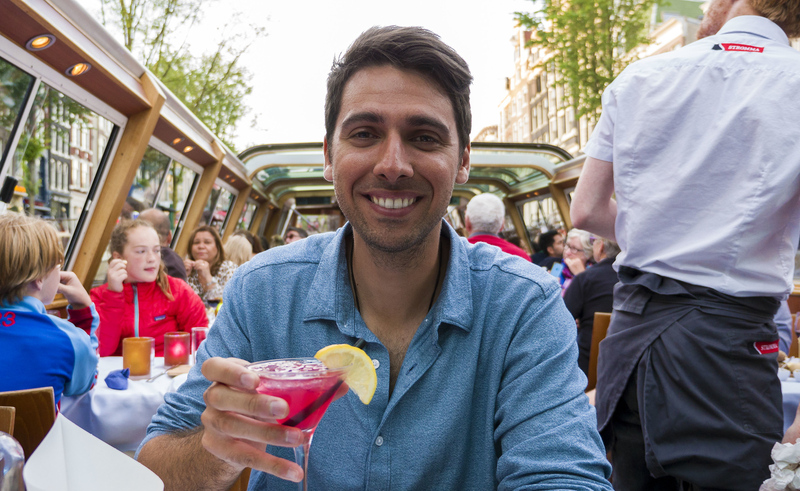 From sipping cocktails and admiring the spectacular scenery to learning more about the city, Justin and I thoroughly enjoyed our scenic Amsterdam canal cocktail cruise. 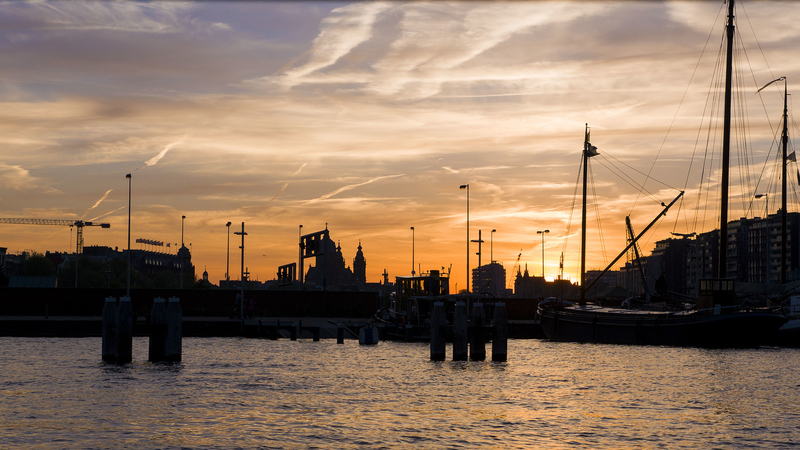 While you can take canal cruises throughout the day, there’s something special about taking one at sunset. Maybe it’s something about watching the city come alive as the sun goes down. 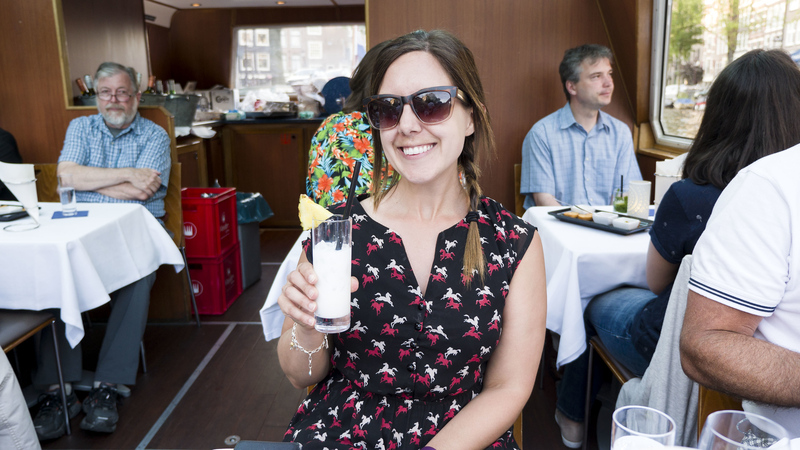 We highly recommend that you book the Amsterdam Canal Cocktail Cruise through your purchase of a Tinggly gift experience. If you enter “justinpluslauren” at checkout, you’ll receive at 15% discount! 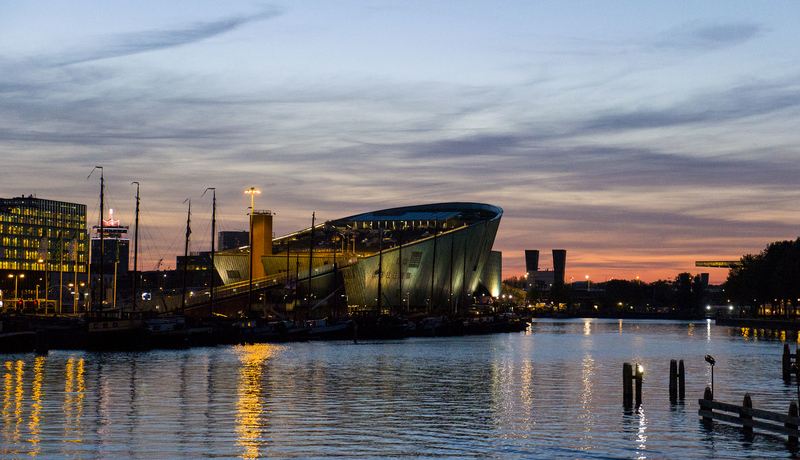 Looking for more advice about travelling to Amsterdam? 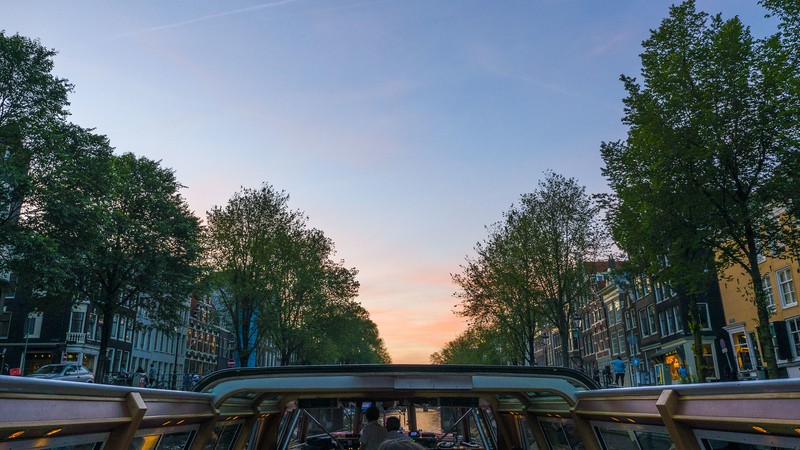 Check out this article by Drifter Planet that’s filled with Amsterdam travel tips, including 15 things you must know before visiting. 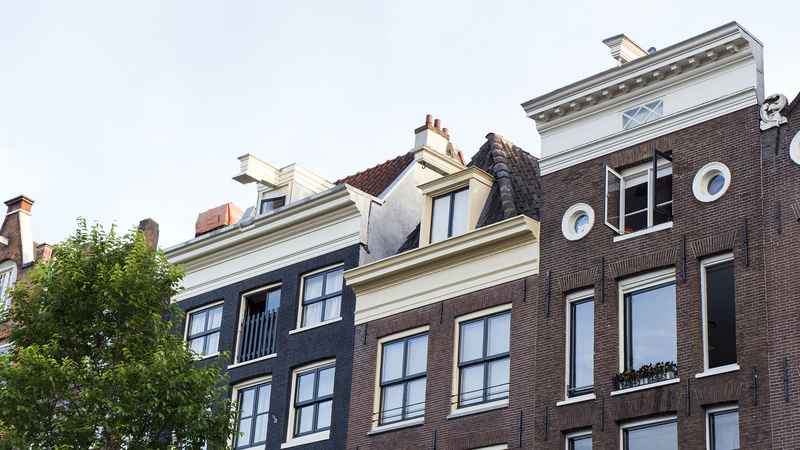 Would you like to see more photographs of Amsterdam? 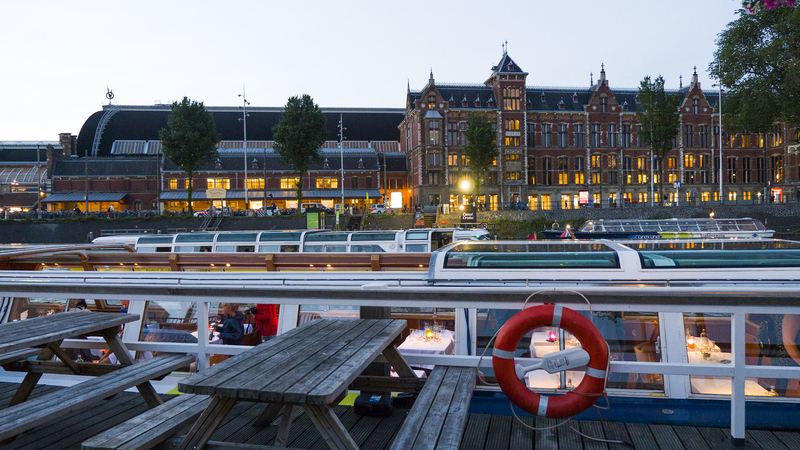 Check out our entire travel photo album from Amsterdam. Thank you so much to Tinggly for hosting our excursion. Our opinions, as always, are entirely our own. 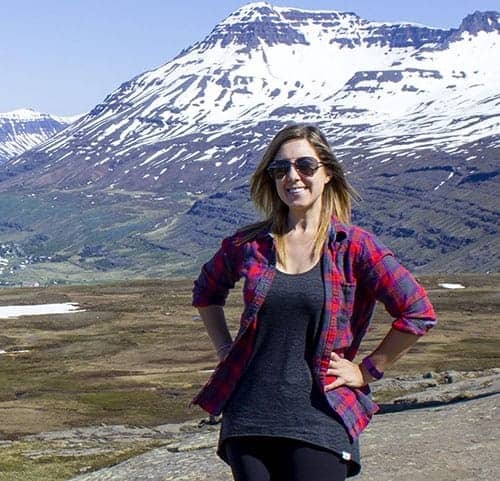 This seems like a fun way to see a beautiful city Lauren. 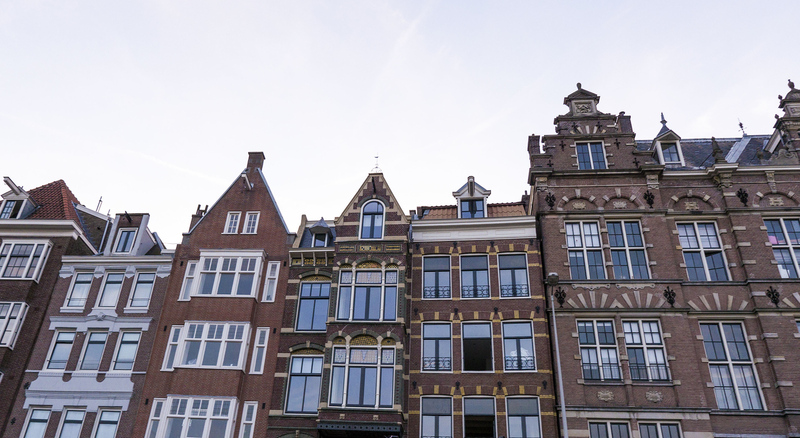 When my wife visited Amsterdam nearly a decade ago she raved about the canals and streets and buildings and everything. 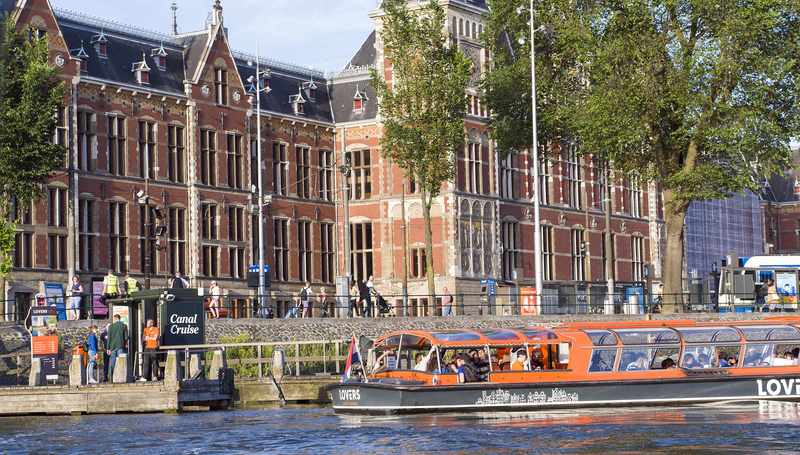 And about…well….you know, LOL ;) But seeing the city via canal looks like a convenient, helpful way to enjoy what this marvelous place has to offer. Fabulous post.